What if there was insomnia? If every time you have to struggle to fall asleep, no matter how much you want to sleep ... If waking in the middle of the night for a few hours becomes a habit ... Let's analyze the main tips and recommendations that psychologists give to combat insomnia. What is insomnia and what symptoms is it accompanied? 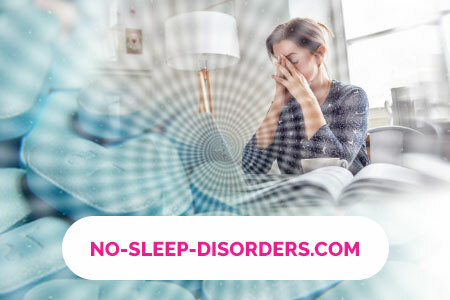 Sleep disorders are a fairly popular neurosis, which affects the emotional state of a person, energy, health and on working capacity. Chronic insomnia is often the cause of serious health problems. However, small changes in your life and certain exercises can save you from anxious nights. Insomnia is a violation of sleep, when a person is not able to fully rest. As a result, in the morning he feels tired and irritable. It should be borne in mind that people need a different length of sleep. The degree of the disease is determined by the quality of sleep, well-being in the morning and in the meantime, which is required to fall asleep. You can even sleep at night for 8 hours, but if you feel fatigue and drowsiness in the daytime, then you can already be diagnosed with "insomnia." Goroshina as the cause of insomnia ... Insomnia can also act as a consequence of an incorrect lifestyle or bad habits. For example, it concerns lovers of caffeine or those people who experience stress on a daily basis. Still, there is great news - often a sleep disorder can be cured! This can be done without taking medication. Sometimes a sleep disorder is temporary (only a couple of days). In such situations, the person also experiences temporary negative factors - stresses or strong unrest before the coming event. At other times, insomnia is a persistent phenomenon, from which it is necessary to get rid of. Psychological factors that cause unpleasant symptoms: the periodic occurrence of depression, post-traumatic stress disorder, anxiety, bipolar disorder, constant stress. Medications that adversely affect sleep: medications for flu or colds, including painkillers, alcohol, caffeine, corticosteroids. Some diseases: Parkinson's syndrome, increased thyroid function, renal pathology, reflux (acidic), allergic reactions, severe persistent pain, asthma, cancer. That's what a man looks like with a lack of sleep ... Before starting to treat this disease, you need to analyze the possible causes of its occurrence. Negative factors affecting sleep include constant anxiety, stress, depression, bad habits and so on. After you can determine for yourself why you have insomnia, you can find the most effective treatment. Is there a constant depression or just a bad mood? There is no strength to struggle with the chronic sensation of intense excitement or anxiety? Maybe you use honey medications that can break a sound sleep? Do you have illnesses that affect sleep? Does the atmosphere in the house contribute to a comfortable and relaxing holiday? Do you have enough time every day for outdoor walks? Do you have a stable sleep schedule (do you fall asleep at the same time)? Before starting treatment, note that some of the things you do to defeat the disease can aggravate your health. For example, we are talking about alcoholic beverages or potent sleeping pills - this is not a method of restoring a healthy sleep. Also, you should pay attention to the amount of coffee consumed during the day. It happens that it is enough for a person to correct their negative habits, get rid of them, as a healthy and strong sleep returns to them. You should make sure that your bedroom is cool, quiet and dark. Increased air temperature, sharp light or the slightest rustle can be serious reasons for lack of sleep. Then you can use earplugs, a mask for sleeping or not passing light curtains, a fan. Adjust the correct rhythm of wakefulness and sleep - try to fall asleep and wake up at the same time. This also applies to weekends. In the afternoon, a short sleep should be ruled out. Load yourself more. Avoid excitement or stress before bedtime. This includes physical exercises, conflicts or discussions, television, video games, computer. Do not use gadgets with bright backlights before going to bed. Try to exclude or limit to a minimum the consumption of caffeine, alcohol or nicotine. Sometimes a person becomes so used to certain actions that he completely ceases to attach any importance to them. In other words, he does not even imagine that this action can adversely affect his health. Keeping a diary of sleep. Perhaps the quality of your sleep is affected by a small cup of your favorite coffee every day. On the other hand, maybe you just got used to watching TV late into the night and your body has already developed its own schedule of sleep and wakefulness. To reveal hidden habits, it is best to start a diary. All you have to do is write down all the details about your daily habits. sleep rhythms, symptoms and insomnia. These details include the time and place of falling asleep, the time of awakening, that you like to drink and eat, and so on. At night, certain structures of the brain synthesize melatonin, which helps the body regulate the correct rhythm of "sleep-wakefulness." Since melatonin is controlled by light, the lack of natural light during the day can make you sleepy, while an overabundance of dim lighting at night can suppress the production of melatonin and cause sleep disturbances. Increase the time spent in nature. Take breaks between working outdoors in the sunlight, try not to put on sunglasses again and open the blinds and curtains during the day. Limit artificial light at night. To increase the production of melatonin include dim lamps, cover the windows in your bedroom, avoid sharp light and turn off television, smart phones and monitors. If you can not darken the room, you can use a special eye mask. What to do with lack of sleep? "Tortured insomnia, what should I do?" - we hear this question from our clients more and more often. Of course, the more difficulties you experience because of sleep, the more it starts to intrude into your thoughts. You can be afraid to fall asleep, because you are just sure that you will have restless sleep for many hours. Perhaps you are worried because you are in for a hard day tomorrow, and if you do not sleep your eight hours, you are sure that you will tear off an important presentation at work. Waiting for difficulties with sleep only aggravates the situation with insomnia, excitement fills your body with adrenaline, and while you think about it you can not fall asleep. How to learn to identify your bed not with insomnia, but with a good sleep and rest? If fears interfere with the ability to relax at night, there are some methods that can help in this. The bedroom is intended solely for sleeping. Do not watch TV, do not work, do not use gadgets. Purpose - you must establish clear associations of your bedroom with rest, with sleep. If sleep does not come to you, do not stay in bed. Do not try to fall asleep violently. Turning around, you can only increase anxiety. Stand up, go to another room and, for example, read a book, drink a cup of warm, weak tea, take a bath or turn on soothing music. When you feel that a dream comes back to you, you go back to bed. Remove the room clock from the field of view. You will be upset, nervous and worried even more when you see how the minutes go without sleep. It is necessary to do everything to exclude alarming states. The fight against insomnia is doomed to failure if you constantly feed it with your negative thoughts. How to cope with the shift work schedule? Adjust your "sleep-wake" rhythm - in working conditions, include bright electric lamps or fluorescent lamps, and when you get home, wear high-quality glasses that protect you from sunlight. Spend less time on the road to the office - it takes away the hours of your sleep. The more time you spend on a trip home, the harder it will be to make yourself fall asleep after work. Avoid frequent changes in the work shift schedule. Make your bedroom light - and noise - non-penetrating. Use special curtains or a mask on the eyes, turn off the phone, turn on soothing music during a day's sleep. You lie at night with your eyes open with thoughts of "what if?" And come up with worse scenarios? Chronic excitement is a mental habit that you can overcome if you study it. Remember, the replacement of pernicious thoughts with the faithful takes a lot of time and practice. You can create your own list of negative thoughts that interfere with falling asleep, and also come up with answers to them. Relaxation techniques such as meditation, full chest breathing, yoga and tai chi can help calm your mind and reduce tension. And this without the side effects of drug treatment of sleep! Progressive relaxation of all the muscles of the body. Sit back in a "lying" position. To begin it is necessary from legs or foots - strain muscles as much as possible. Hold on to 10 and then relax. Do the exercise for all muscle groups separately, following the direction from the legs to the head. See more details - here. Diaphragmatic breathing. Many people do not even know that to breathe properly is to take deep breaths. When we breathe in full, it helps the body to relax as much as possible. Exercise slowly and with your eyes closed. Exhale is done through the mouth, and inhale through the nose. To develop relaxation skills, it is necessary to regularly practice these methods. The technique justifies itself, as a result you gain power over your own body. You can apply these techniques constantly. Bad sleep, as a rule, leads to stress and gives rise to disturbing thoughts about the impossibility of sleeping. This in turn leads to constant tension and a negative habit of falling asleep with sleeping pills or alcohol, and also develops the habit of dozing during the daytime, in order to make up for lost time of sleep at night. This leads to further aggravation of the problem with insomnia. This is the so-called "vicious cycle of insomnia." Techniques to combat negative thoughts that interfere with falling asleep, as well as relaxation exercises are the main components of so-called cognitive-behavioral therapy (CPT), one of the most effective areas of modern psychotherapy. KPT is committed to not only forming positive habits, but also helping to change thoughts and attitudes towards sleep, which can also help get rid of insomnia, reduce stress and stop the vicious cycle of insomnia. At the same time, psychotherapy can be much safer and more effective in combating rest breakage than sleeping pills. However, this is not an instant remedy, since it takes time and persistence. At first, your condition may even worsen, especially if the therapist advises sleep restriction therapy, according to which you will have to shorten the rest period. 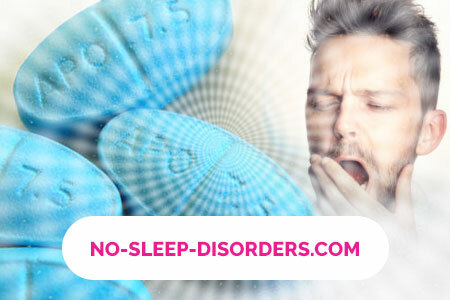 If you can not sleep at night, the simplest thing you can do is take sleeping pills, but this is not a way out, since the medicine will not eliminate the very cause of insomnia, and in some cases will only exacerbate the problem. In any case, before taking any measures, it is important to consult a doctor in this matter. There are many different dietary and herbal supplements that stimulate sleep. Some of them, such as herbal teas from chamomile and melissa, are mostly harmless, while others can have a lot of side effects. Melatonin is a hormone that is naturally synthesized in the human body at night. Experience shows that this additive can be effective for short-term use to adjust the "internal clock", for example, in travel. Nevertheless, side effects can occur, one of them is drowsiness the next day. Valerian is a herb that has a mild soothing effect that helps to make sleep more tiring. However, the quality of valerian additives varies considerably. The main component of such medications is often antihistamine, as a rule, it is taken in cases of allergy, hay fever and with cold symptoms. Therefore, use of these drugs for a long period of time is not recommended. In most cases, sleep experts oppose the use of sleeping pills, even questioning their effectiveness in view of the presence of a number of side effects and a lack of information on safety. If the cure for insomnia can provide temporary relief in the event of sleep, it is still better to use the drug only in extreme cases and only in a limited number. To begin with, try changing the daily routine, your habits, and the attitude to sleep. Experience shows that changing the way of life and behavior of a person gives the best and lasting effect in the fight against insomnia. When it is necessary to turn to professional treatment for insomnia? Insomnia comes almost every night and progresses. Before applying to a psychologist, it is advisable to undergo a medical examination. Your doctor either diagnoses an organic disease, or it will be clear that this is a neurosis. In the second case, i.e. If insomnia is caused by a factor of the psyche, you should start working with a competent psychologist or psychotherapist.